There is a row of six or seven papillae (small projections) on the roof and floor of the mouth behind the teeth that are believed to separate shells from prey prior to ingestion. 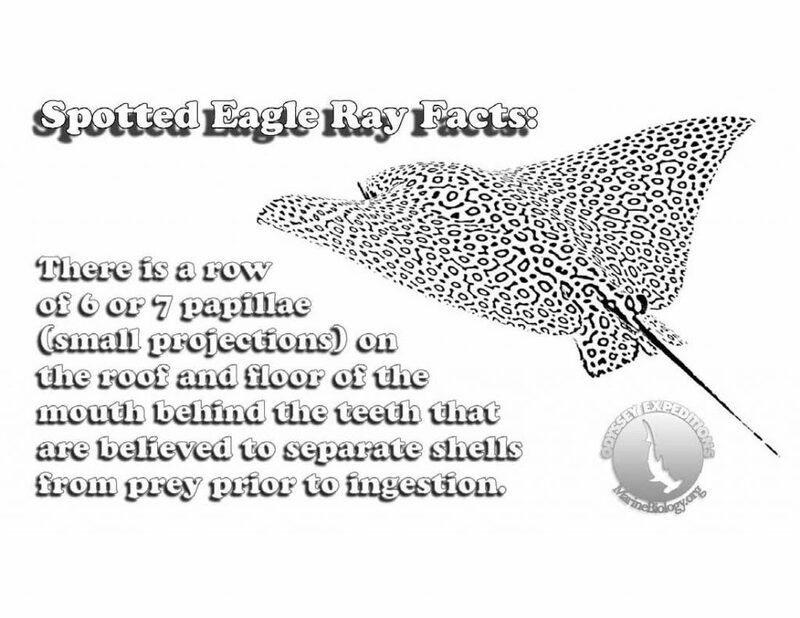 The spotted eagle ray’s specialized chevron-shaped tooth structure helps it to crush the mollusks’ hard shells. The jaws of these rays have developed calcified struts to help them break through the shells of mollusks, by supporting the jaws and preventing dents from hard prey. These rays have the unique behavior of digging with their snouts in the sand of the ocean. ] While doing this, a cloud of sand surrounds the ray and sand spews from its gills. narinari – Nari (asomtavruli Ⴌ, nuskhuri ⴌ, mkhedruli ნ) is the 14th letter of the three Georgian scripts. Nari commonly represents the alveolar nasal consonant /n/, like the pronunciation of ⟨n⟩ in “nose”.